Get ready all In This Moment fans!! 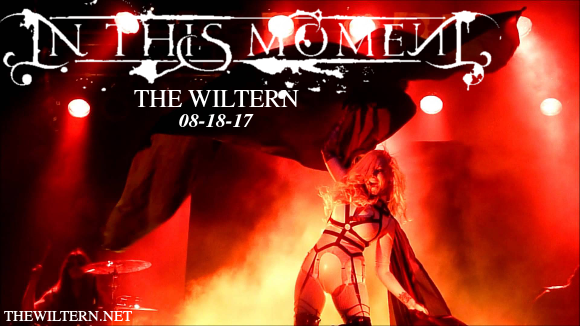 Metal’s most theatrical performers are about to release a new album, hot on the heels of their last, the one year old and phenomenally successful “Black Widow.” Get ready to catch In This Moment live on their Half God, Half Devil Tour, coming to The Wiltern on Wednesday 18th October 2017! Book today to avoid disappointment! The new album, entitled “Ritual,” features In This Moment returning to a “purer,” hard rock/metal sound. “It’s different and cool and I think it’s a different step for us but that I think our fans are really gonna like,” guitarist Chris Hosworth enthused, regarding the new album’s sound. “Stylistically, I think we went a little bit more raw, you know…more serious, I guess, and a little more stripped down. What are you waiting for?? Get your tickets NOW to hear all the new material live!! !